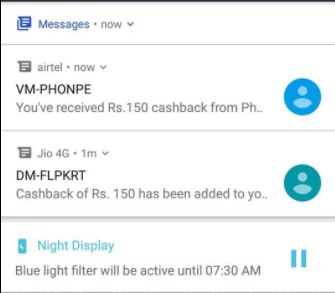 PhonePe is Offering 20% Cashback On Above Rs.750+ Order But Due to Some Bug Peoples Are Getting 20%+20%(Max 150+150) Cashback On Same Order. This is Still Working And Can Stop Any Time Soon. So Loot Before This Bug Solve By Flipkart. Use PhonePe to make Full Payment. 2. Now Just Search for The Any product That you want to Buy. 5. You Can Login or Sign up on Flipkart Or Flipkart App. 6. Select your Shipping address. 8. Pay the Full amount Through PhonePe Only (Don’t Make Partial Payment), You will get the 20% Cashback upto Rs 150 in PhonePe wallet.